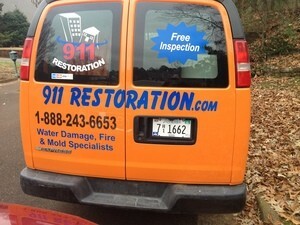 911 Restoration Colorado Springs is proud to bring water restoration services to the Black Forest area. We are always a phone call away, and we will arrive with every tool needed to bring your home back to a better than normal condition. We are here for you for all matters. Available 24/7/365 with a same-day service guarantee for all emergencies. Same-day service from a licensed bonded and insured team. Free water damage estimate for complete peace of mind. The fresh start is our belief that things will get better quickly, and that a home accident is a blessing in disguise. Your quality of life can only increase, and we are here to make sure that happens. Restoring your home means restoring your peace of mind. Call us for the best Black Forest water restoration around. During the winter, the probability of experiencing a pipe burst increases. However, there are other types of home accidents you may experience as well, so we wish to impart to you some wisdom to help you prevent them. Providing an insulated sleeve is something simple that requires a quick trip to the hardware store. Adding these to exposed pipes, whether indoor or outdoor, will aid in keeping the pipe from freezing over. With that in mind, a frozen pipe can be easily thawed out with help of a heat lamp or space heater. However, keep in mind that you should never use a flame to thaw a pipe out, as it will create as steam burst. Keeping a faucet open, so that water can run, will help keep water from freezing. See, when water freezes it crystalizes, and it is easier for it to occur in a standstill. Therefore, to keep it in its liquid form, it is as simple as keeping it moving. There is more to keeping safe in a blizzard than just water damage, as there is the safety of you and your family when facing the extreme cold. In the event you experience a white out, when the power goes out, you should confine you and your family to one room. In that one room it is best to line the walls with heavy blankets, as to help keep heat from escaping out. We hope you never experience a home accident, but when one occurs, call us at 911 Restoration Colorado Springs. The water damage Black Forest team is standing by. One evening a Black Forest client experienced a pipe burst as a result of root invasion. Luckily, it was not her sewage line, as that would had resulted in backup. Anyways, water was seeping from out of her lawn and into her home. We were out there as fast as possible, and as soon as we arrived our technicians shut the water off to the home. The reason we recommend that everyone does this is because it will keep more water from coming out and damaging your home. Then we started to extract the water from inside her house, which meant setting up a wet vacuum. After all stagnating was gone we began dehumidification. 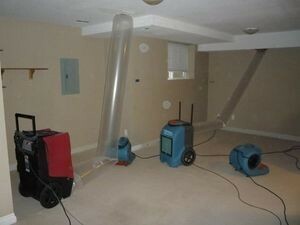 This process is when we take dehumidifiers and face them 45 degrees from the corners of the room. We then set blowers all about to help tumble the air. This is a simple trick the IICRC certified water damage Black Forest Technicians perform as to allow the drying time to increase. The finishing touch involved spraying the area down with antimicrobial spray, so that the chance of mold festering later on was reduced. See, it only takes 24 hours after a water damage incident for mold to start cropping up. And, due to the porous nature of wood, panels that were soaked can never be remediated all the way, but preventing the intensity of a colony is possible. 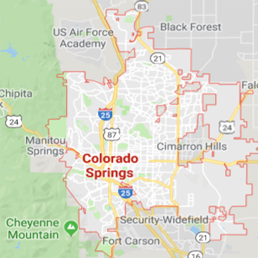 If you need this level of expert service, pick up the phone and give our water damage restoration Colorado Springs team with 911 Restoration Colorado Springs a call today!